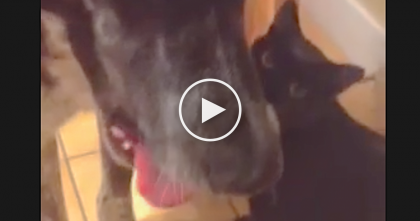 She Opened Her Birthday Present But Was NOT Expecting This!….She Couldn’t Believe Her Eyes!! This sweet little girl was opening a birthday present from Mom that was “fragile” and “breakable”…… Boy was she not expecting what she saw next!! After the pink tissue paper was tossed aside…out popped the little head of a KITTEN!! To get a baby animal is seriously every little kid’s dream birthday present, and this girl’s wish came true! She couldn’t stop smiling and exclaiming, “I can’t believe my eyes!” It was one of the most precious moments I have ever witnessed. 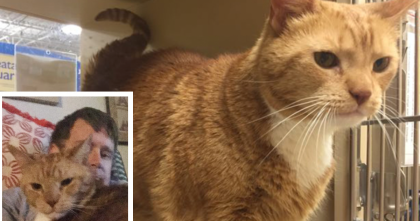 He Went To Buy Some Cat Food, But When He Walked Out… He Had Something Else, Awww!! 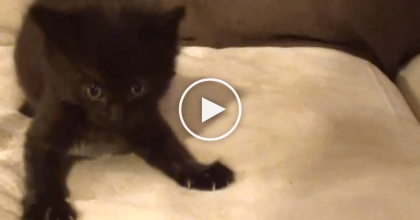 Tiny Fluffy Kitten Gets In A Meowing Match With The Dog, But Then Mommy Notices… SOO Cute! 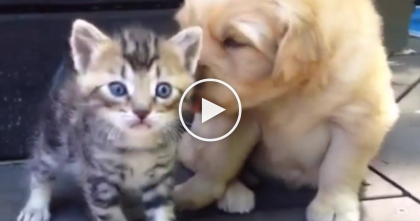 Kitten Discovers His New Best Friend, The Golden Retriever Puppy… The Results Are TOO Cute! !